The BikeBox is designed to be bolted down onto a hard (concrete) base which must be flat and level. 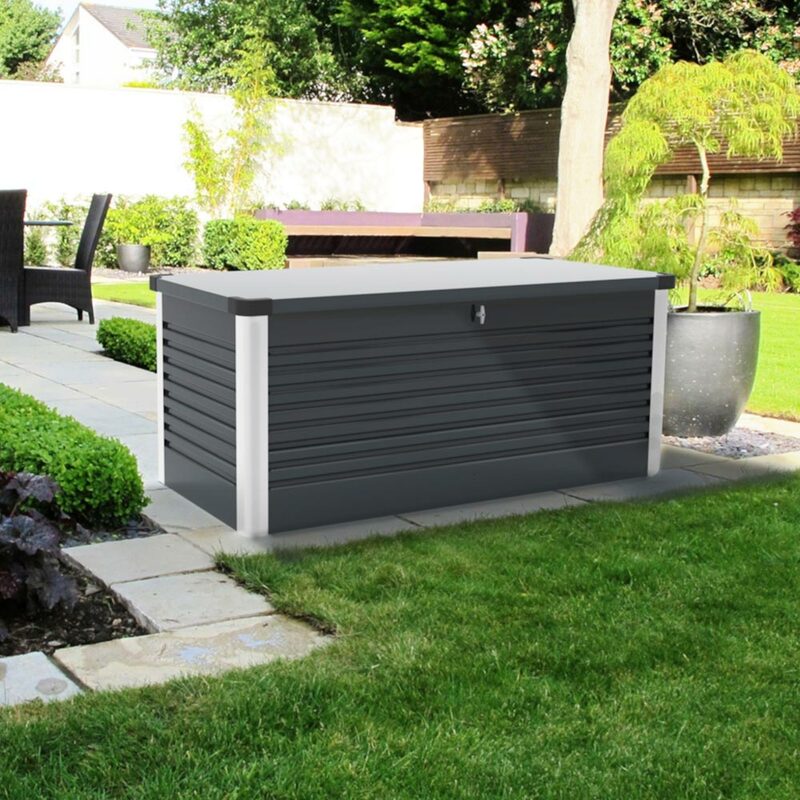 At your home or apartment, indoors or outdoors! 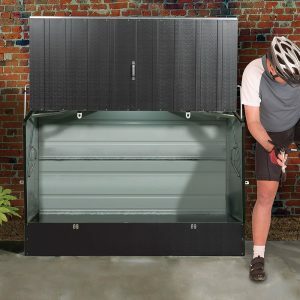 The BikeBox is the unique, practical and easy to use storage cabinet for bikes and other household items (lawn-mowers, golf clubs, gardening equipment etc.). 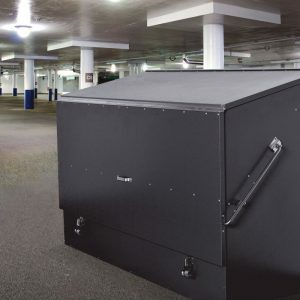 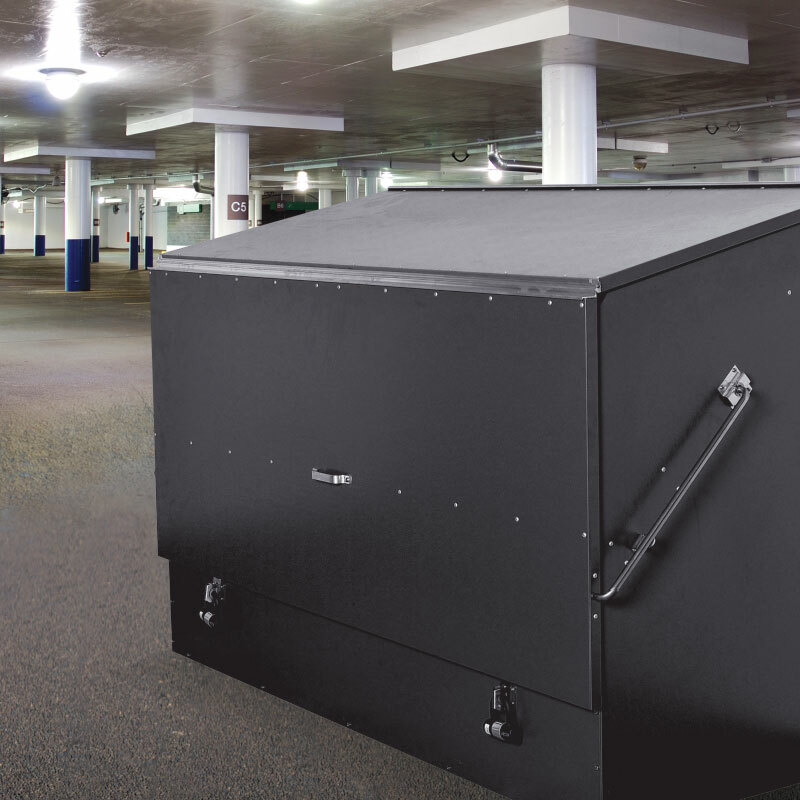 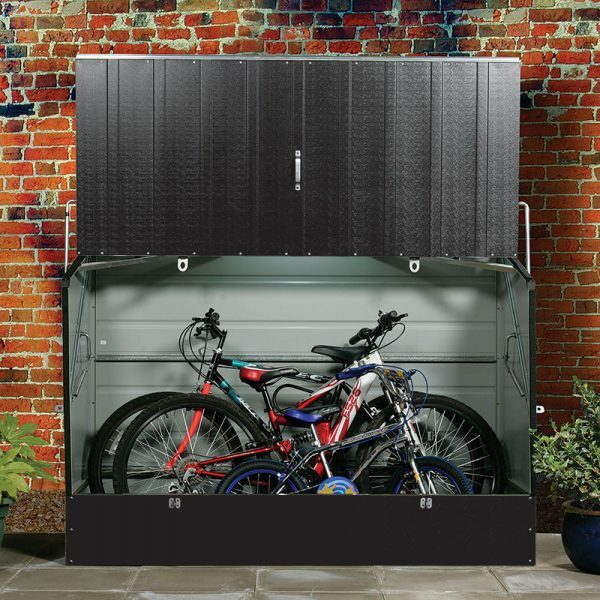 Whether it’s for your car space in the basement garage of an apartment building or in the back yard of your home, the BikeBox offers unparalleled security, strength and convenience. 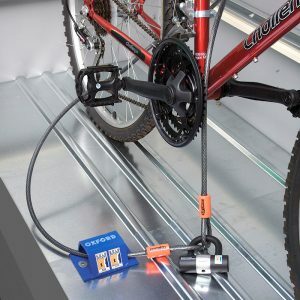 The BikeBox is supplied complete with two stainless steel hasps with two high security padlocks which will deter even the most determined thief – but wait there’smore – because even if the thief does eventually penetrate he is confronted with a Heavy Duty Ground Anchor complete with High Security Cable which prevents the cycles from being removed. The generous dimensions of the BikeBox allow up to three adult bikes to be stored together (depending on style) and the clever patented design, which features a spring assisted opening action, allows complete and easy access. 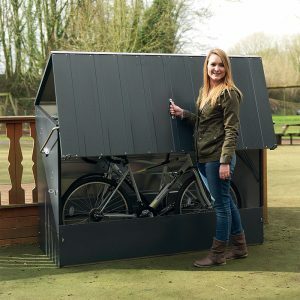 Kiwis are buying bicycles in record numbers and using them not just for recreation, but increasingly as a replacement to short and medium car trips. 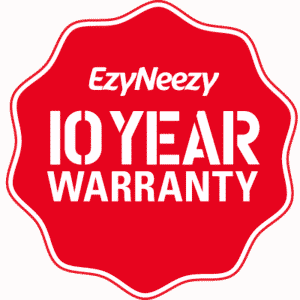 In the past ten years, bicycle sales in NZ have almost doubled. With increased bicycle sales, the number of insurance claims relating to stolen or damaged bicycles has grown and as mid range bicycles have increased the extent of loss is also considerably more. 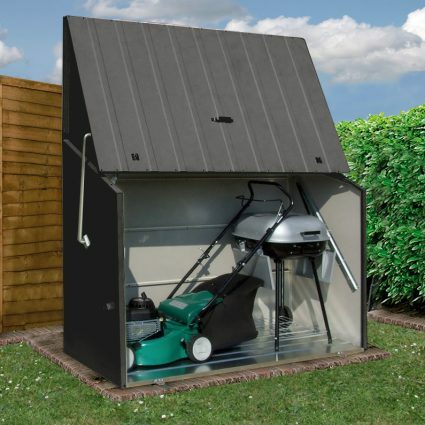 Need to securely store your garden equipment?